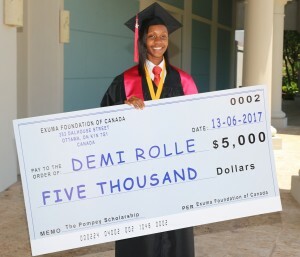 A senior at L N Coakley High School in Exuma became the second recipient of The Pompey Scholarship this week, with ambitious plans to study in Canada this fall and return to Exuma as a primary school educator. Demi Rolle, whose favourite subjects include English and history, will join her friend Troyann Forbes, the first winner of this scholarship, at Acadia University on the Canadian east coast. “I was really just stunned. Me? Really? When they called my name, I couldn’t believe it. 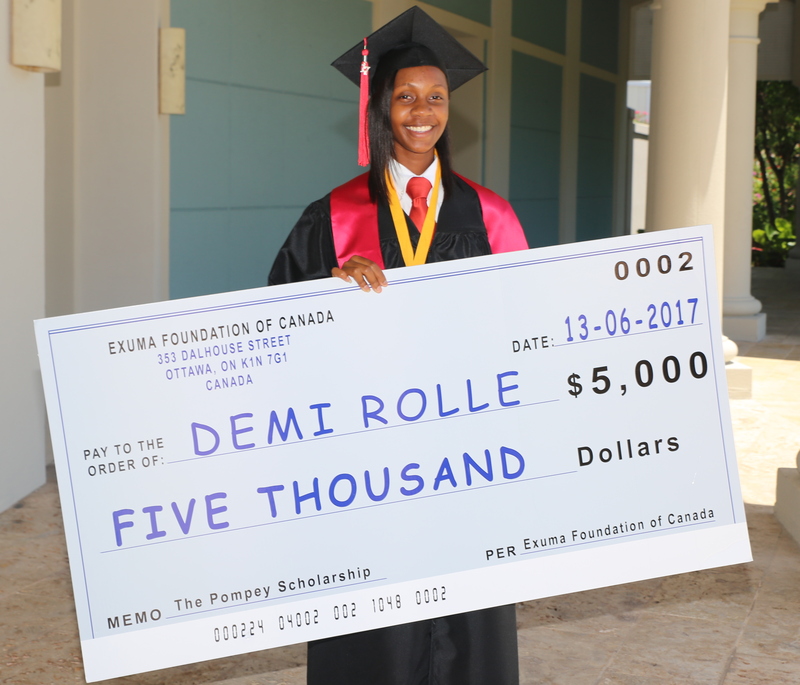 It was really exciting,” Rolle said, who picked up her over-sized cheque at L N Coakley’s graduation ceremony, held at Sandals Emerald Bay last Tuesday. 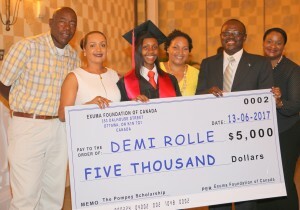 From left: Chester Cooper, MP of Exuma and Ragged Island and President of BAF Financial & Insurance (Bahamas) Limited, Demi Rolle, the winner of The Pompey Scholarship and Lynmore Taylor from GIV Bahamas Inc.
Rolle’s big win is the end result of last year’s Run for Pompey, the second installment in an annual event that is rapidly becoming a fixture on the sports tourism calendar. As the old saying goes, the third time’s a charm. 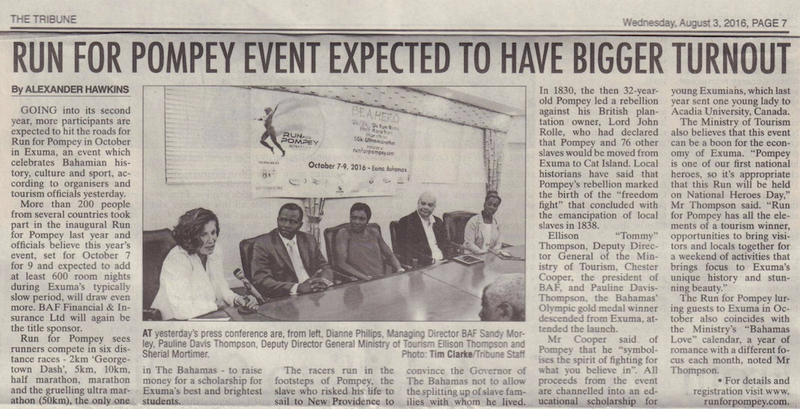 The next Run for Pompey, taking place over National Heroes Day Weekend from October 6 to October 8 in Exuma, promises to be largest yet, featuring a new collaboration with the National Family Island Regatta. On October 7, or race day, runners from The Bahamas and abroad will be treated to a festival atmosphere in the park with a full bar, food stalls, Bahamians entertainment and a “mini-regatta” in Elizabeth Harbour. Run for Pompey is also thrilled to announce a new sponsor of the event. Aliv, the emerging telecommunications company, will become a valued supporter. The event is led by title sponsor BAF Financial & Insurance (Bahamas) Limited and MRI Nassau. GIV Bahamas Inc., the Bahamas Ministry of Tourism, Grand Isle Resort, Sands Beer, Caribbean and Bottling Company, Ty’s Sunset Bar & Grill, Catch A Fire, Chat N’ Chill, BahamasLocal.com, SuperClubs Breezes and Diane Phillips & Associates round out Run for Pompey’s strong network of sponsors. Legendary “Golden Girl” Pauline Davis-Thompson will serve as Run for Pompey’s patron for the third consecutive time, draping medals around each and every neck at the finish line. She also provides a special keynote address at Grand Isle’s pasta night for runners the night before the race. In 1830, Pompey, a 32-year-old slave, defied a transfer order on Exuma that would have separated 77 men, women and children from their families. While his rebellion was eventually squashed, it is widely seen as a key moment in the Bahamian fight for freedom. 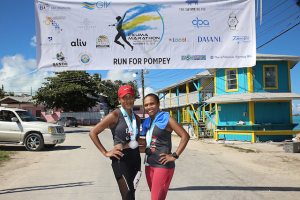 To commemorate his memory, Run for Pompey features races for all ages, skill levels and abilities, including the 2K “George Town Dash”, 5K, 10K, half marathon, full marathon and the country’s first and only 50K ultra marathon. All races are professionally timed. Past events have attracted hundreds of runners from various countries, including Canada, the United States, the UK and The Bahamas. Don Barr, the principal of L N Coakley High School, believes the history of Pompey is an essential ingredient in the event and the educational process. With two Pompey Scholarship winners now at Acadia University, the approach appears to be working, as students from Exuma continue to write their own page in the Pompey history books. 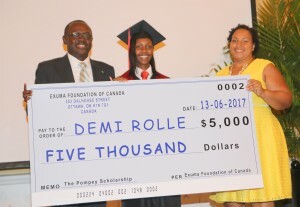 The donation will be paid directly to Acadia University on Rolle’s behalf by the Exuma Foundation of Canada. GOING into its second year, more participants a r e expected to hit the roads for Run for Pompey in October in Exuma, a n event which celebrates Bahamian his- tory,cultureandsport,ac- cording to organisers a n d tourism officials yesterday. More than 2 0 0 people from several countries took part in the inaugural Run forPompeylastyearand officials believe this year’s event, set for October 7 for 9 and expected to add at least 6 0 0 room nights during Exuma’s typically slow period, will draw even more. BAF Financial & In- surance L t d will again b e the title sponsor. Run for Pompey sees runners compete in six distance races – 2km ‘Georgetown Dash’, 5km, 10k half marathon, marathon and the gruelling ultra marathon (50km), the only one in The Bahamas – to raise money for a scholarship for Exuma’s best and brightest students. The racers run in the footsteps if Pompey, the slave who risked his life to sail to New Providence to convince the Governor of The Bahamas not to allow the splitting up of slave families with whom he lived with. In 1830, the then 32-year- old Pompey led a rebellion against h is British plantation owner. Lord John Rolle, who had declared that Pompey and 76 other slaves would be moved from Exuma to Cat Island. Local historians have said that Pompey’s rebellion marked the birth o f th e “freedom fight” that concluded with the emancipation o f local slaves in 1838. Ellison “Tommy” Thompson, Deputy Director General of the Ministry of Tourism, Chester Cooper, the president of BAF and Pauline Davis-Thompson, The Bahamas’ Olympic gold medal winner descended from Exuma, attended the launch. Mr. Cooper said of Pompey that he “symbolises the spirit of fighting for what you believe in.” All proceeds from the event are channeled into an educational scholarship for your Exumians, which last year send one young lady to Acadia University in Canada. The Run for Pompey luring guests to Exuma in October also coincides with the Ministry’s “Bahamas Love” calendar, a year of romance with a different focus each month, noted Mr Thompson. 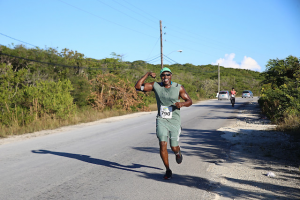 The event that transformed distance running in the out islands last year, adding popularity and prestige, is back, and once again, set for the National Heroes Day holiday weekend in Exuma, Bahamas. 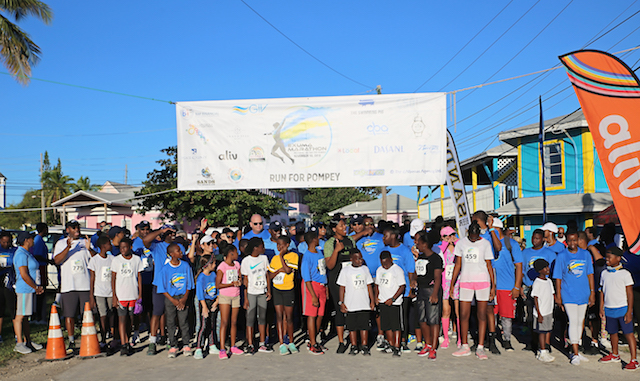 The 2nd Annual Run for Pompey, featuring six differ-ent runs, will be held October 7-9,2016, with a starting point at the regatta site in the island’s capital, George Town. Interested persons could register for the two kilometer (k), 5k, lok, half marathon, full marathon or 50k ultra marathon races. The event is expected to showcase Exuma and everything the island has to offer once again. Race day is actually set for Saturday October 8. There will be a number of festivities surrounding the actual event. 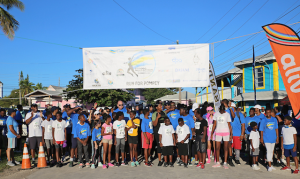 “On behalf of the Ministry of Tourism, we are delighted to be sponsors with BAF Financial for the second annual Run for Pompey,” said Ellison “Tommy” Thompson, Deputy Director General of the Ministry of Tourism. “Pompey is actually one of the first national heroes of The Bahamas, so it’s only fitting that this event will be held on the National Heroes Day holiday weekend. Also, Exuma is an excellent venue to host this event. About 200 participants took part in the inaugural running of the event last year — 25-30 percent of which were foreign guests. Thompson said that they are expecting an increase this year, especially with there being regular non-stop flights from Miami and Atlanta in the United States, and Toronto in Canada, into Exuma. With that, he expects the event to add at least 600 room nights during Exuma’s typically slow period, thereby creating a great boost to the economy. Sandy Morley, Vice President and Chief Operating Officer (COO) of BAF Financial & ‘Insurance (Bahamas) Ltd., said that they were elated to come on board as the title sponsor of the event once again. “It is with great pleasure that BAF announces its sponsorship with the Run for Pompey,” said Morley. “Pompey symbolizes the underlying spirit to fight for what you believe in, and to push yourself to achieve your goals no matter the circumstances. Pompey fought to keep the families of slaves together. Today, many of us fight for the future of The Bahamas. Pompey displayed tenacity, pride and commitment in his quest to have the plight of slaves on Exuma brought to light. Pompey himself was one of thousands of slaves in the islands during the early 1800s. He led a slave revolt and uprising that eventually led to British Governor of The Bahamas at that time ruling in their favor in allowing slaves to remain with their families on one island, Exuma. Pompey was hailed as a hero, though later receiving 39 lashes as punishment. His actions is considered a key precursor to the emancipation in The Bahamas in August 1838. Run for Pompey represents a movement to further honor his memory, providing an annual schol- arship for students of E.xu- ma in need. Last year. 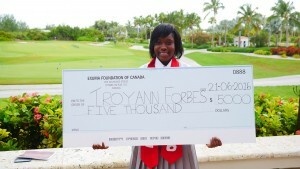 Troyann Forbes, a student of L.N. 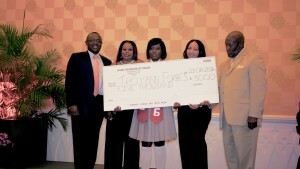 Coakley Senior High School, was the recipient of the scholarship. She plans to attend Acadia University in the fall. Once again, Olympic gold medalist Pauline Davis-Thompson is serving as the official patron of the event. Davis-Thompson said that the island of Exuma holds a special place in her heart because it is the origin of her. grandfather, Thomas Davis. Representing the host hotel, the Grand Isle Resort & Spa, Sherial Mortimer said they are glad to he on hoard, and are truly looking forward to the event. The Grand Isle Resort And Spa will host a pasta night on the Friday night of the event. 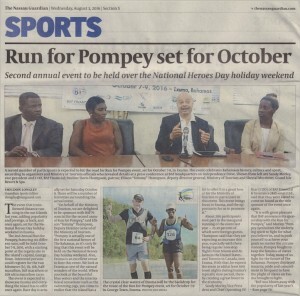 The Run for Pompey event is being promoted as another huge extravaganza in sports tourism’s “Sports in Paradise” brand. At least five major international events are planned to be hosted in The Bahamas next year. The Run for Pompey also coincides with the ministry’s “Bahamas Love” calendar, a year of romance with a dif-ferent focus each month noted the Deputy Director General. It was more than 185 years ago that Pompey, a slave living in Exuma, sparked a rebellion that stopped a transfer order that would have separated 77 men, women and children from their families. On a sunny day in Emerald Bay, L N Coakley High School helped write the next page in Bahamian history when a young woman was awarded the first ever Pompey Scholarship for her commitment not only to her studies, but the community at large. The best part? Troyann Forbes said she never saw it coming. The Pompey Scholarship is the aftermath of the inaugural Run for Pompey, held last October during National Heroes Day Weekend. It attracted more than 200 runners from four different countries, including Canada, the United States, the UK and the Bahamas. 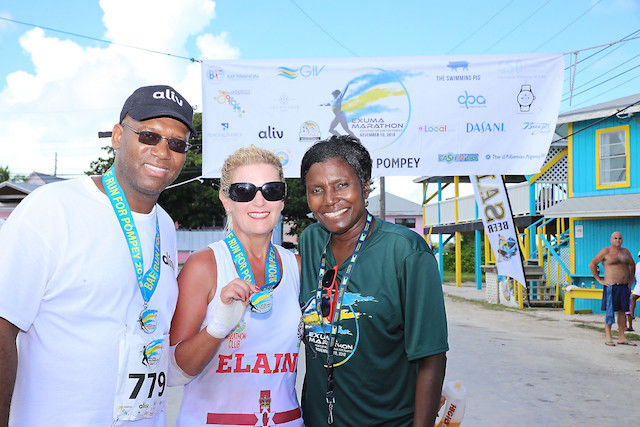 Featuring a 2K “George Town Dash”, 10K, half marathon, full marathon and the country’s first and only 50K “ultra marathon” race, Run for Pompey takes to the streets of Exuma once more on October 9, 2016. The event features commemorative Pompey medals for all participants, wood-carved trophies for the winners by age category and even a special “Pasta Night Party” the evening before the race at Grand Isle Resort, the official hotel partner. Legendary “Golden Girl” Pauline Davis-Thompson will again serve as Run for Pompey’s patron and drape medals around every neck at the finish line, while offering remarks during the Pasta Night and at L N Coakley High School. The latter, L N Coakley High School, and its bright young minds, are the inspiration behind the event for co-founders Kevin Taylor, the owner of DreamKatcher Media, and the team at GIV Bahamas Inc in Exuma. “It is a proud moment today,” said Lynmore Taylor, who represented GIV Bahamas Inc.
GIV Bahamas Inc. is joined by a number of sponsors, including BAF Financial & Insurance (Bahamas) Limited, MRI Nassau and the Bahamas Ministry of Tourism. Cooper, who was on hand to present The Pompey Scholarship, added that BAF’s support of Run for Pompey “is a win-win and no-brainer for BAF”. Other important sponsors of Run for Pompey include Caribbean Bottling Company (official hydration partner), Sands Beer (official beer), Grand Isle Resort (official hotel), Ty’s Sunset Bar & Grill, Catch a Fire, February Point, BahamasLocal.com, Sports 4 and Chat N Chill. 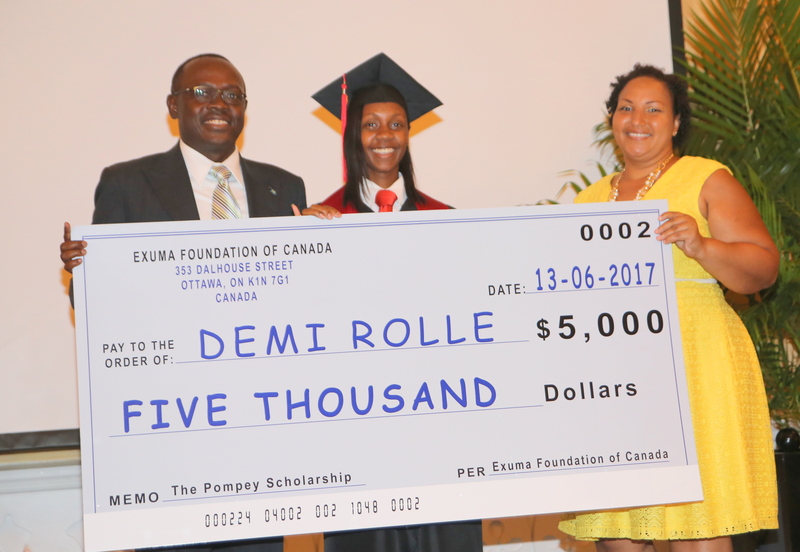 The donation for The Pompey Scholarship will be made to Acadia University by the newly formed Exuma Foundation of Canada, which has provided a unique off-shoot of the existing Exuma Foundation. Danny Strachan, the General Manager and Treasurer of the Exuma Foundation, and a Board Member of the Exuma Foundation of Canada, believes the two organizations will have a “tremendous impact” on the community of Exuma. He also commended GIV Bahamas Inc and the Exuma Foundation of Canada for their efforts to bring about an annual, world-class event for the island.